Kolkata Port Trust Jobs Recruitment Notification 2018.Kolkata Port Trust inviting applications for the positions of sub-inspectors and gunmen.Interested and Eligible candidates can apply for the positions. Total number of vacancies to be filled in Kolkata Port Trust is 14. Candidates those who have worked in Ex-Police, Army, Navy & Air Force or other ex-para forces with minimum experience can apply. Selected candidates as SI and Gunmen will get pay of Rs.19032/- as monthly pay. Mode of applying for Kolkata Port Trust recruitment is through offline mode. 12th October 2018.
http://www.kolkataporttrust.gov.in is the link to download application form and send to below given address. 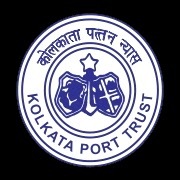 Security Adviser, Kolkata Port Trust, P-65, C.G.R, Road, Kolkata-700043.